You didn’t think we’d let your Saturday go by without informing you who’d picked up last week’s delicious prizes of five copies of the new Ellie Goulding album, did you? Of course, Ellie’s new album dropped at retail just over a week ago and as such will premiere on the ARIA albums chart tomorrow. But where? You’ll have to check back at 9am AEDT to find out! Thanks to the fab team at Universal Music, we gave away five copies of the new album, which features the chart hit ‘Anything Can Happen’, along with a swag of super-stylish new Ellie tunes. Ryan from Blacksmiths in New South Wales, Daniel from Hoppers Crossing in Victoria, Andrew from Ellenbrook in Western Australia, Dean from Belrose in New South Wales and Mike from Mascot, also in New South Wales. Congratulations gentlemen! 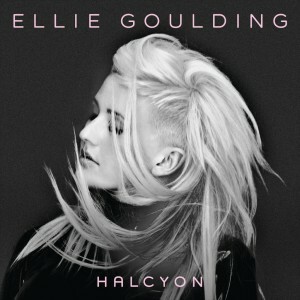 A copy of the new Ellie Goulding album ‘Halcyon’ will be speeding its way towards you shortly. Thanks to all who entered and remember, there’s another new prize over there in the sidebar, go get enterin’!